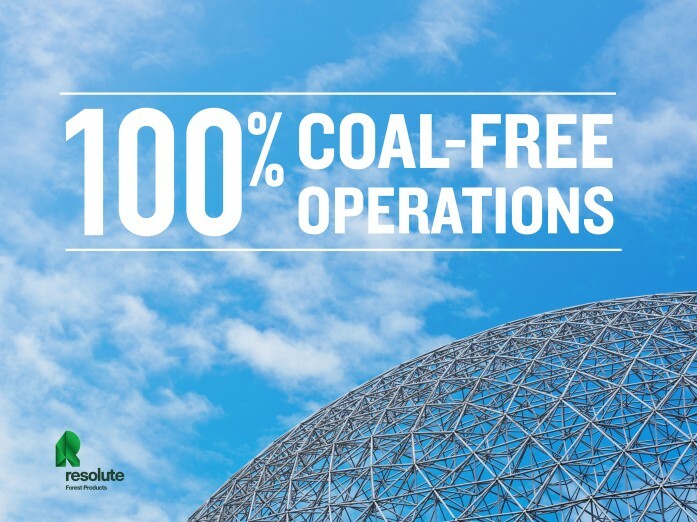 Last month we posted about surpassing a huge greenhouse gas (GHG) reduction milestone: two years ahead of schedule, we reduced our total GHG emissions by 67.5% over our 2000 baseline. Let’s talk about some of the things we did to get there. More than half of this came from the amazing efforts Resolute teams made to reduce GHG emissions intensity by cutting our energy consumption and switching to cleaner burning fuels – like the great work our Coosa Pines (Alabama) and Calhoun (Tennessee) mills did to completely eliminate their on-site coal use. “And for our site, we probably cut our GHG [emissions] by 40%,” estimates Sébastien Kidd, the Technical Services manager at the Alabama pulp mill, some 40 miles southeast of Birmingham. Until March 2014, the Coosa Pines site used up to four coal-fired boilers – part of 12 boilers that once serviced the industrial site, which started out as a munitions factory built in the early years of the Second World War. Two new gas-powered boilers were brought in by rail last spring and are capable of producing 150,000 pounds of steam per hour. While slightly less output than the coal-fired boilers, which can produce as much as 160,000 lbs/hr, the new boilers are highly responsive. That faster response allows the operators to adjust to steam demands. And they can run easily and for sustained periods at their top end. Of course, they’re dramatically more efficient too. With the old boilers, 75% of the coal that was burned converted directly to heat that made steam. The new gas-powered boilers use more than 90% of the fuel they burn to make steam. Energy-efficient production and proactive work like the Coosa Pines boiler project puts Resolute not only ahead of potential regulations, but up in front of the pack as a leader in GHG reductions. 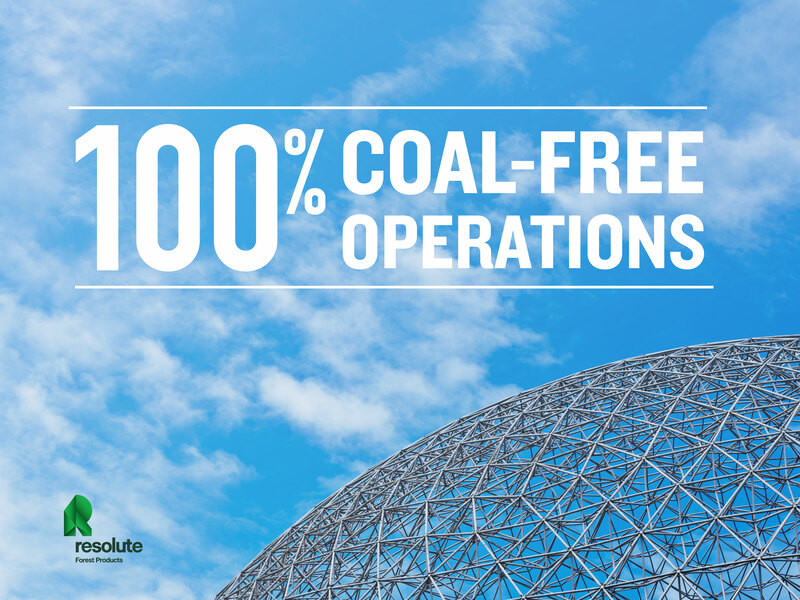 Today, more than 75% of Resolute’s total energy needs are met using renewable sources and we continue to invest in clean energy projects, which reduce GHG emissions while also cutting our power costs.